When Cameroon became a German Protectorate in 1884, the Germans realized that the area around Mount Cameroon, home of the indigenous Bakweri ethnic group, was an agricultural paradise. They immediately instituted a policy of wholesale confiscation of native lands for large-scale commercial agriculture. Through the use of coercion, brute force, and a series of repressive laws, the German colonial Government forced local indigenous communities to give up vast expanses of native lands without compensation. Contrary to widely-held beliefs that the Bakweri made no effort whatsoever to resist the spoliation of their lands by the Germans, they did in fact mount a fierce anti-German campaign, particularly around the slopes of Mount Fako, and successfully inflicted a humiliating defeat on the Germans at Buea in 1891; the first ever German military loss on the African continent, which led to a complete reappraisal of German colonial/military policy on the continent, and, unfortunately, laid the basis for the brutal campaign to annihilate the Bakweri. When the case pitting the Bakweri Land Claims Committee (BLCC) against the State Cameroon came up for consideration before the 34th Session of the African Commission Human & Peoples’ Rights, the head of the Cameroon delegation, Dr. Dione Ngute, wondered why the Bakweri wanted "to be treated differently" from other Cameroonians. He was referring to the Bakweri and BLCC demands that land rents and royalties be paid to the indigenes of Fako for the exploitation of their indigenous lands by the CDC for agro-industrial purposes. 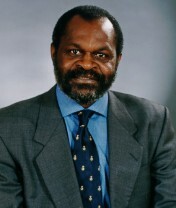 In 2003, the Minister of State for External Relations sought the Expert Opinion of the Minister of State for Agriculture Honorable Frederic Augustin Kodock (currently Minister of State for Planning and Regional Development), specifically about the BLCC’s demand for royalties for indigenous Fako lands under the control of the CDC. As Minister of Agriculture, the Honorable Kodock had supervisory authority over the CDC and had a solid mastery of the CDC/BLCC file. Cameroon Tribune, in its edition of Wednesday May 12, 2004 carried a report that the Hon Meva’a m’Eboutou, Minister of Finance and Budget, had published during the previous week, a notice of request for manifest interest in the banana, rubber and oil palm sectors of the CDC which are to be privatised. The report also stated that one Derrick Garvey, Chairman of Brobon Finex, the company that purchased the tea sector of CDC, had stated that the land on which is developed the plantations of the CDC belongs to Cameroon, and that his company has only bought 65% of the tea estates, but not the land. Following the rules of procedure under the ECOSOC Resolution 1503 Procedure, not only do Applicants have no access to Respondent Government’s submissions but they equally have no right of audience before the Sub-Commission, a right reserved only to States party to the United Nations Charter. However, by inference from the letter dated 18 July 2002 from the Governor of the South West Province to the BLCC (which letter was written on instructions from Respondent’s Minister of External Relations), it would appear that Respondent made two critical assertions before the U.N. Sub-Commission on the basis of which that body concluded that the complaint before it was premature. I have been instructed by my client, BLCC, to advise you to think twice before you commit the resources of PIL and the 14SA Group of Companies in a venture that is still mired in controversy and whose promised financial and economic rewards may prove to be illusory in the long run. Should you succeed in your bid to acquire any of the CDC oil palm, plantations up for sale, it would in all likelihood be on terms that include some form of leasehold on the land. In its Reply dated 8th May 2003, Respondent sets forth two basic reasons why this Commission should declare the BLCC communication inadmissible. First, that the conduct of the Southwest Procureur General in the John Niba Ngu/Brobon Finex case (“CTE Litigation”), though illegal is insufficient to justify a conclusion that the courts in Cameroon are similarly tainted. To support the proposition that the Cameroon judiciary is independent, Respondent cites the Ncho v. Itoe case where the courts in the Northwest Province entertained a complaint against the Procureur General and found him guilty.